Well, not quite a shell but close enough (since C# is not a scripted language). 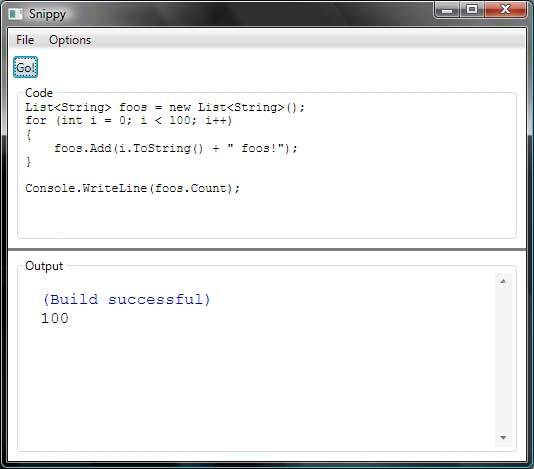 Snippy is must-have for any C# developer wanting to quickly test out code. Post is no longer open for comments. Loading Stats: 39 queries. 0.097 seconds.